I have a special passion for Historical Fiction so it probably goes without saying, but I jumped (or more likely did a couple of virtual cartwheels) at the opportunity to get my hands on Jane Caro’s new novel Just a Queen. As the sequel to Caro’s novel Just a Girl, this book provides an intimate insight into the reign of Queen Elizabeth I. I haven’t read the first book and although I’m keen to read it retrospectively, it is important to note that this didn’t make any difference as the book operates well as a stand-alone text. Overall I found this to be an enticing package. I found the cover design appealing, striking the perfect balance between identifying the historical period whilst maintaining enough savviness to entice a youthful audience. I also found the gold decorative motif that backed the front and rear covers a delightful inclusion, serving as a suitable prelude for what was to follow. Caro’s thoughtful prose consistently manages to engage her audience by being accessible yet maintaining a sense of faithfulness to the period explored. The choice of first person narration, created a potent intimacy with the protagonist, allowing for an authentic and believable psychological portrait of Elizabeth to be drawn. I did find the time shifts a little irksome at times. Certainly, younger readers may find this a deterrent, although it added a narrative complexity that could be interesting to investigate with students in higher level English classes. 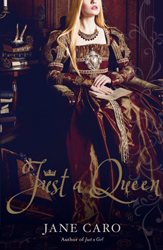 Just a Queen, was pitched to me as a Young Adult/Historical Fiction novel. While I won’t argue with the latter, it became apparent to me early on, that this is a book which fails to conform to traditional notions of YA. The story is narrated by rather distraught and significantly aged Elizabeth I, as a series of flashbacks occurring in the latter part of her reign. The flashbacks, precipitated by the execution of Mary Queen of Scots, primarily hark back to a much younger Elizabeth, albeit one who is well into her twenties. It did not take me too long to realise that the lack of an adolescent protagonist place this book out of YA and firmly into mainstream Adult Historical. Similarly, since the flashbacks involve mature reflection from that of an aging woman and, while not necessarily a criticism, I did wonder if a mainstream YA audience may perceive this as a little too preachy, or, even disregard the perspective as being irrelevant. However, perhaps this is a little pedantic because Caro’s story is undoubtedly exquisitely crafted, while possessing a qualities that could easily make it an inspiring text to explore as a guided text with Senior English students or as an extension text in the Senior History classroom. 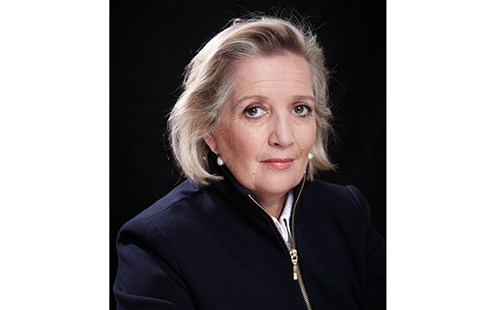 Jane Caro has managed to breathe new life into what is a well-trodden topic by novelists and filmmakers. She is to be commended for her depiction of an Elizabeth who is not only flesh and blood, but whose portrayal will undoubtedly resonate with contemporary women, for whom the challenge of living in a man’s world, is as real today as it was in the Elizabethan world.